If your cruise vacation itinerary includes a call in Falmouth, Jamaica then here are 12 things you can do at this popular travel destination. With the redevelopment and reopening of Falmouth cruise port in Jamaica, the popular Caribbean destination has seen an incredible increase in tourist activity in the last couple of years. The port which is one of the largest colonial towns in Jamaica is spectacularly beautiful and bears with it a rich heritage. Falmouth, Jamaica is not a cruise destination to be missed. It’s conveniently located between the popular Montego Bay which is 18 miles to the east and Ocho Rios which is 59 miles to the west. 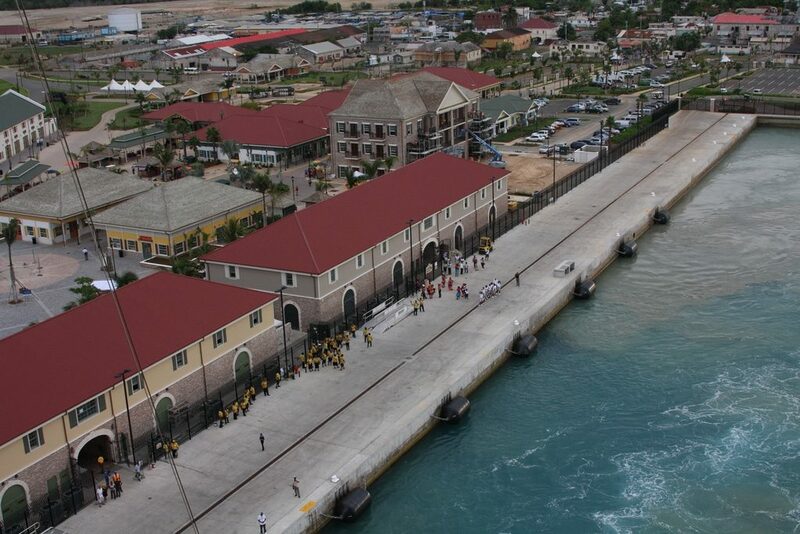 The port also holds the common Caribbean beauty and charm that we have all come to love. Falmouth is adorned with lush forests and vegetations, long emerald rivers, waterfall, caves and of course picture-perfect beaches. Not forgetting the charm of the Jamaican people and their delicious cuisine. Falmouth port recently opened its doors to cruise ships in 2011 after 4 painstaking years of dredging up sea beds to create the pier. Which can conveniently cater for two large cruise ships docked at the same time. The pier is built in a triangular shape, with the two long piers meeting at the seaside end. The beautiful cruise port area is found within the triangle. It hosts plenty of shops, restaurants, and other tourist amenities. Don’t forget to get all your cruise accessories from Amazon right here. Royal Caribbean Cruise Line and the Port Authority of Jamaica (PAJ) jointly co-own and run the port. Thus, RCL has preferential berthing rights at the port over other cruise lines. However, Celebrity Cruises a subsidiary of RCL, Norwegian Cruise Line, Disney, and Princess cruises call to the port as well every once in a while. 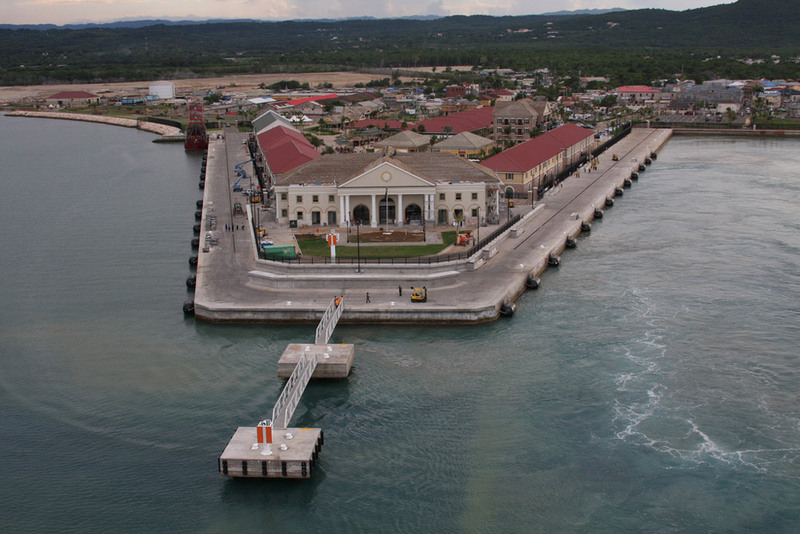 The port area is arguably one of the cleanest and prettiest ports of call in the entire Caribbean. Enjoy taking strolls on the cobblestone paved streets. While stopping at the shops to shop for a gift or souvenir. Get yourself some nice Jamaican themed jewelry, clothes, paintings and woven items. The shopping scene also includes big names such as Diamonds International and Del Sol. Apart from shopping the next best thing to do in the port area is try out Jamaican Cuisine from the hotels found at the place. Don’t miss out on devouring a Jamaican patty, one of their most popular delicacies or their empanadas stuffed with saucy meats and vegetables. The best place to try this is at Tastee Patties, Peppers Jerk Center or even at Margaritaville which is all found within the port. However, for the best fun in this port head out into the wider town area outside of the gated cruise port area to tour the city. Do some more shopping and even try out more of their cuisine. As far as exploring the town goes, you can book a guided walking tour excursion of the town. Or do a self-guided tour if you know the town and Jamaican culture well. 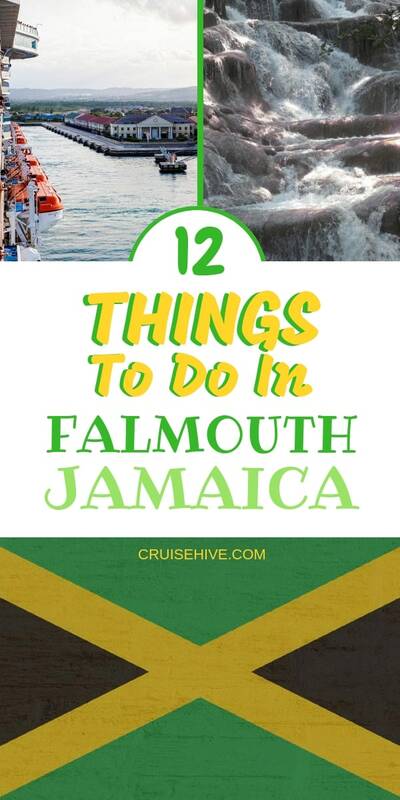 On the tour of the town, you will get to explore and enjoy the rich history of Falmouth. You will learn interesting facts such as how the town was established in 1769 as a sugarcane farming town. And how the resultant economic activity made the town dwellers wealthy. Which led to the construction of a beautiful, luxurious town. Featuring the best architectural model of the time. The Georgian style named so after the rule of the various king Georges of the time. Thus, your tour of the town will take you through all these beautiful buildings that are reminiscent of the olden times. The first sighting you will make is of the clock stand at Albert George Market which is directly opposite the cruise pier’s exit. If you take a right from the exit you will come across the courthouse brightly painted in yellow which was originally constructed in 1815. A little further to the west past the courthouse, you will come across Baptist Manse found on the corner of Market and Trelawney streets. The first mason temple ever built in Jamaica built in 1798. It’s now owned by the Baptist Missionary and once housed William Knib and his family. Further down Trelawney street, you will find what remains of Barret’s house, of the Barret family on whose land this town was built on. If you go back the same way and head south past Baptist Manse on Cornwall street, you will find Vermont house another amazing Georgian building where the post office is now. Other notable historic landmarks include the water square which was responsible for delivering piped water to the inhabitants of this town in the 1700s. Some decades earlier than the rest of civilization including New York itself. About 15 minutes from the pier is Good Hope Great House and Estate Park. An old Mansion built in the 18th century by John Tharp, who owned most of the sugarcane and slave trade in the town. Trips to this 2000-acre plantation farm make for a beautiful day at Falmouth port. Apart from the historical tour of the estate, there are plenty of other activities to engage in. Like zip lining over the canopy of trees in the forest within the estate or river tubing on the Martha Brae river which passes through the estate. High teas and lunches can also be availed if booked in advance. Visit this place with your partner and enjoy an aristocrat’s perfect romantic getaway, playing Lord and Lady of the Manor. Another great house to visit is Rose Hall Great House, found 30 minutes away from the pier in the western direction. This is the house of the famous Annie Palmer, referred to as the white witch by the Jamaicans, who is believed to haunt the mansion to this day. The property now a resort kind of estate has restored the sugarcane plantation and has one of the best golf courses in Jamaica. Take a guided tour of the house enjoying the chilling tales of Annie Palmer and her reign of terror. Enjoy the rich architecture and heritage of Jamaica through this heritage site. Other popular things to do at the place include getting married. Rose hall’s beautiful gardens make for the perfect wedding location. If you don’t care much for heritage and history try more thrilling activities such as taking a bamboo raft tour of the Martha Brae river. The tour starts on a 10-foot long bamboo raft that is similar to taking a romantic Gondola ride in Venice. Take a romantic scenic tour of the thickly forested mangrove on the calm and quiet river. This 3-mile long journey will offer a scenic, relaxing experience that is sure to create a lasting memory. Try rowing the raft using the tall bamboo pole if you think you can, we dare you!! 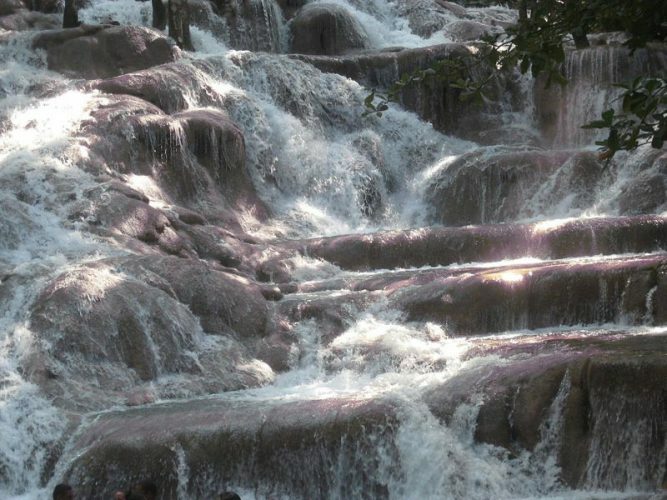 One must-visit place in Falmouth, Jamaica is Dunn’s River Falls found in Ocho Rios. Take a 45-minute bus ride to Ocho Rios where you will come upon the world popular site. It’s a waterfall that features a natural staircase made out of limestone rock. The waterfall is 180 feet high and 600 foot long. Climbing this waterfall is not for the faint of heart. As your stamina and balance will be tested on the slippery rocks trying to make it all the way up. Don’t worry too much about this fact as special shoes for climbing the waterfall are availed at the place for rent. You can also enjoy dipping and a swim in the natural pools around the place and all in all have a fun day splashing and exploring the magnificent waterfall. For this excursion you do need Aqua Shoes, get yours from Amazon. Another popular attraction in Falmouth, Jamaica is the glistening waters lagoon. If your trip to Falmouth includes an overnight stay then you should definitely visit this place. The tours of the lagoon begin at night. A natural phenomenon only seen in a handful of other places in the world occurs when the lagoon waters are disturbed in the darkness. Unfortunately, most cruise ships don’t stay overnight so this is something to take note of you ever visit the destination in the future. The lagoon also is known as the luminous lagoon, when stirred lights up in an eerie blue light. Apparently, the lagoon has microscopic organisms that light up when agitated creating a phenomenon known as bioluminescence. Go for a swim in the lagoon and enjoy the strange phenomenon as the blue light dances to the tunes of your body movements. After the 45 minutes boat ride is over return to the restaurant at the lagoon’s mouth and enjoy a nice meal of chicken jerky and shrimp served with vegetable curries, rice, and fried banana plantains. This magical boat ride that you should definitely add to your bucket list, costs $25 per person. For the animal lovers, you can take a swamp safari and mingle with some of the largest crocs in Jamaica. Located 5 minutes away west of the pier is Charles Swaby’s Swamp Safari or Crocodile Farm. As the latter name suggests, the place is a farm for crocodiles. It’s a wetland that is home to over 80 crocodiles that are fed and reared by Charles Swaby himself. Take a tour of the farm and enjoy watching the creatures being fed by the owner, who also plays a stuntman when not entertaining tourists at the farm. Crocodiles are not the only animals at this excursions. Their close relatives the snakes are also found in the park and a variety of bird life including owls. Enjoy holding a baby croc and if you aren’t afraid, allow the boa constrictor to slither and coil itself upon you. James Bond fans can enjoy a recreation of the scene with crocodiles in the “Live and Let Die” movie shown at the end of this tour. The scene was actually shot in the place. Staying on the river scene, book an excursion or take a trip to the popular Rio Bueno river found between the parish of Trelawney and Montego Bay. This excursion will start with a ride over to Montego Bay and a guided hike through the forest before arriving at the river. Once there, tubes will be provided and the fun shall commence. Enjoy swooshing down the river as the currents float you with an energetic flow through the course of the river. Allowing you a scenic view of the surrounding jungle. If you are an adrenaline junkie try the white-water rafting and enjoy the thrill of being pushed and shoved by the water in each and every way over its bumpy boulder floor. For the rum lovers, there is something for you at the Hampden Estate, one of the oldest rum manufacturing estates in the town founded in 1753. Take a 2-hour excursion to the place and get to learn about the region’s history and of course how Rum is made. The rum here is still made the traditional way and you will get a chance to sample this quality rum at the end of the tour. Of course, only people over the age of 18 are allowed on this trip. And lastly but not least, try out the sand in Jamaica. Being that it’s one of the most beautiful places to visit in the Caribbean, you can expect picture-perfect white sandy beaches straight from a postcard. Burwood beach is a picture-perfect beach located some 10 minutes away from the pier near the Blue waters resort. It’s now the only public beach nearest to the port as the popular RedStripe beach is currently closed to give room for the construction of a resort on it. Burwood beach which used to be a secluded spot, with no beach facilities has now been upgraded to include bathrooms, showers and a changing place. The beach even has a lifeguard on duty now and they are charging a fairly reasonable price to access the beach at $5 per person. Carry your beach towel and gear to enjoy the perfect beach day at this long stretch of pristine white sandy beach. Get your much cheaper sunscreen from Amazon right here. Another beach that you can visit is Doctors Cave beach in Montego Bay. You can book an excursion to this beach via your cruise line or take one of the shuttles in the pier offering this trip. Go with a reputable driver, however, so that you don’t get stuck out there. A round trip to the beach will cost you $20 per person. At the beach, you will be charged an entrance fee of $6 per person or $15 for entrance. There is plenty of tree cover on the beach, to enjoy your beach day there with just your beach towel and nothing else. So, enjoy the warm shallow crystal clear blue waters on the 5 mile stretch of pure white sand beach. And try out the trampoline in the water, which is bucket loads of fun. Just left of the trampoline is a small coral reef where you can do some snorkeling as well. If you work up an appetite from all the swimming, splashing and jumping at the trampoline, go for a nice plate of chicken or pork jerk at the restaurant found on the beach. Just like it’s common in the Caribbean Falmouth experiences a tropical temperature all throughout the year. The temperature is hot all throughout with the hottest period running from June to September, where temperatures can go up to a high of 90 degrees Fahrenheit. The cooler season, on the other hand, runs from December to March, and the temps can go as low as 75 degrees Fahrenheit. It’s wet in summer and dry in winter, so depending on your preference, you can choose to tour this destination in the dry but cold season or hot but wet season. And that’s it for a day well spent in Falmouth. 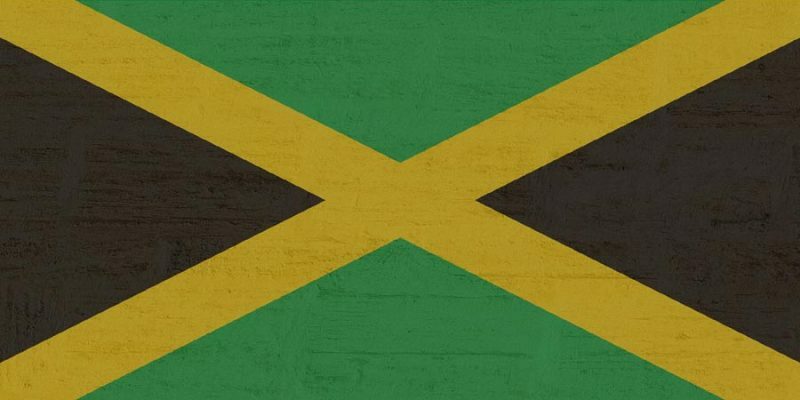 So, forget your English and remember that ‘Yes’ in Jamaica is ‘Yah Mon’ and ‘No’ is ‘ay ay’ or ‘eeh eeh’. Use their ‘no’ whenever someone approaches you to buy Marijuana or ‘Ganja’ as they call it there. Stay safe and walk in a group if you decide to do a tour of the town yourself. The town is perfectly safe, but there have been cases reported of extreme aggressiveness when being approached to buy something, or cases of Lady’s being catcalled. Other than that, you should have a great time in this port and remember to relax and have fun.